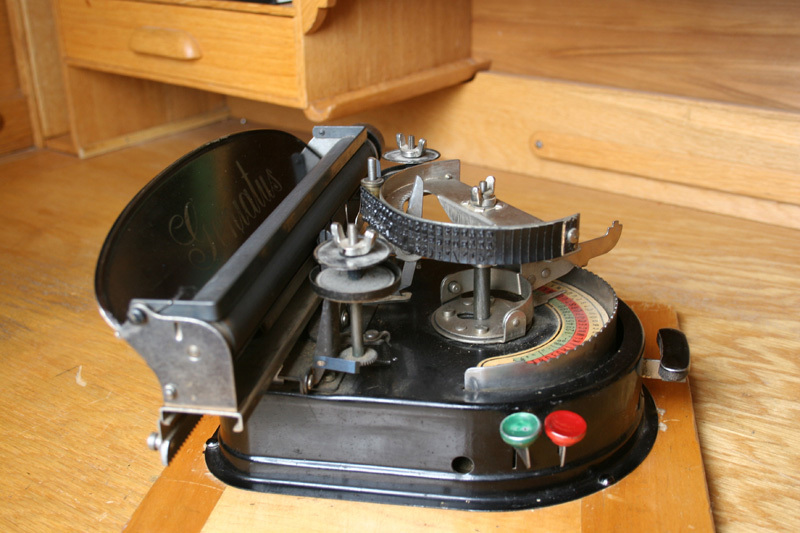 Geniatus is a mystery for typewriter collectors. 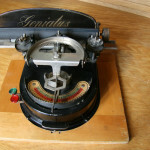 As there is no information about the producer on the typewriter, nobody knows for certain which company made Geniatus. 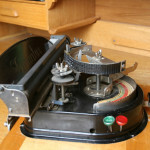 It is a German typewriter. Some experts state, that it was made by Gundka Werke AG (see Frolio). Other sources say that it was made by Gustav Tietge AG in Leipzig. 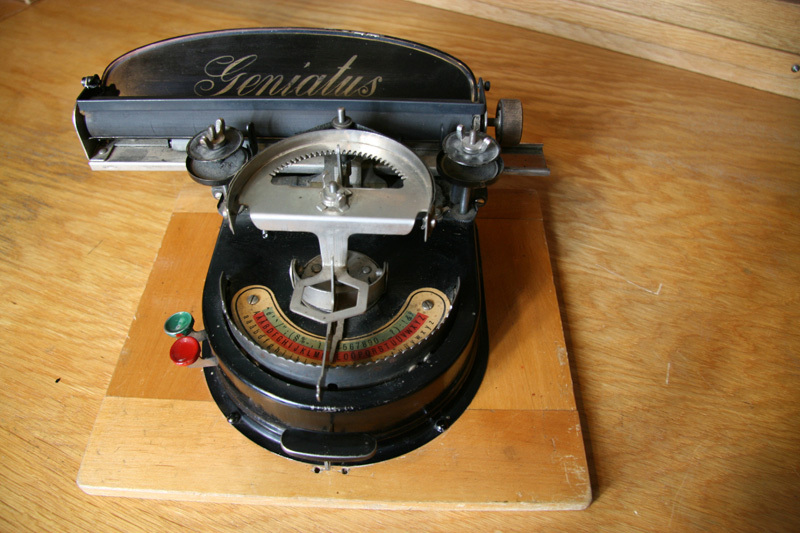 This company produced toys with the name “Geniatus” and it looks more like a toy typewriter. The date of introduction on the market is also unsure and could be either 1924 or 1928. Geniatus is an index typewriter which means that typing is slow. When it was introduced most of the index typewriters had been replaced by keyboard typewriters. The type wheel was made of rubber.